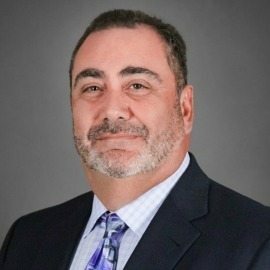 Seasoned executive John Hassoun has been appointed president and CEO of technology integrator VT Group. VT Group is a mid-size company that also offers solutions and services in command, control, communications, computers, intelligence, surveillance and reconnaissance to the federal government. Hassoun previously worked at Vistronix Intelligence and Technology Solutions, where he held the same titles and was responsible for the company’s growth in the intelligence and national security markets before it was acquired by ASRC Federal in 2016. “As he’s done in the past, I am confident John Hassoun will bring energy, ideas and a wealth of experience to energize VT Group’s growth,” said Robert Kipps, managing director of investment banking firm KippsDeSanto & Co.
Hassoun has more than 25 years’ experience in government services, having held roles in executive leadership, corporate strategy and business development, business operations and program management. His resume includes time as a program manager for the Air Force, followed by leadership roles at General Dynamics, Veridian, ATS Corp., Global Integrated Security and Olive Group. Hassoun is also a board director of GardaWorld Federal Services and GardaWorld Government Services, which provide worldwide comprehensive security and risk management services. “I’ve known John since his time at GD and have seen him play an instrumental role in affecting an optimal growth strategy and helping businesses position for successful turns to strategic buyers, first with ATS and recently with Vistronix,” said Mark HuYoung, managing partner of executive hiring and advising firm NorthWind Partners. Congratulations John, VT Group is very fortunate to have John as their President and CEO. I have known John for a number of years and was privileged to have worked for him at Global Strategies Group. He is a great leader and has successfully built winning Companies and Executive teams during his career.